Introducing the Unity Rear Lounge. Marking the tenth anniversary of the Unity product line, the Concept represents a decade of product innovations and sets the stage for the next generation of the Unity. 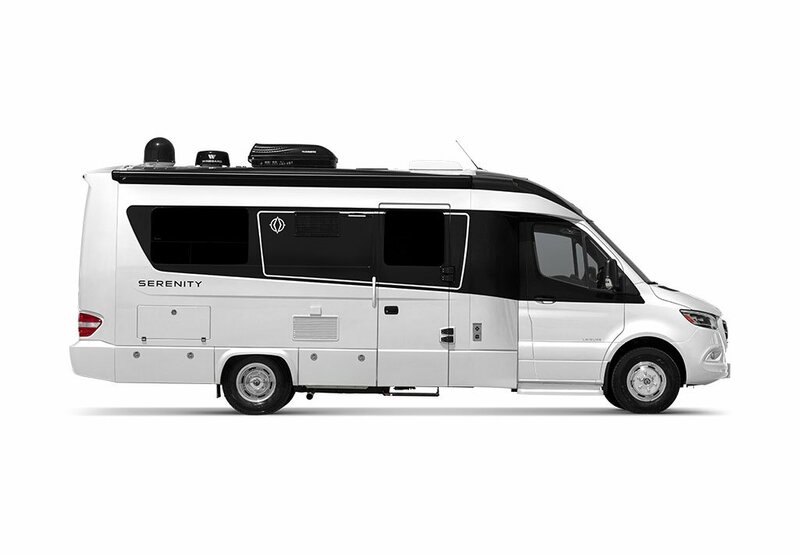 Built on the all-new Sprinter Cab Chassis, the Unity Rear Lounge Concept features a first-of-its-kind innovative layout with two separate living areas, Murphy bed, completely redesigned modern interior, and a host of new technology including the all-new Dometic IoT touchscreen solution. Watch the unveiling of the next-generation Unity Concept, recorded live from RVX. 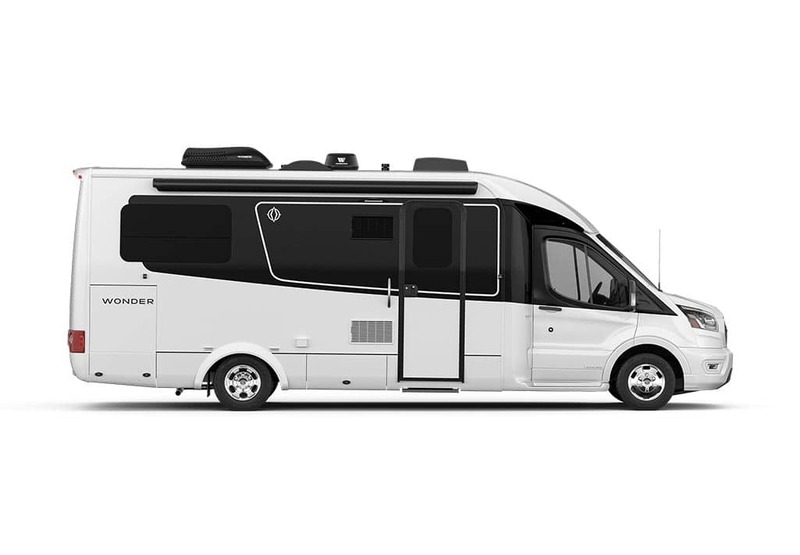 The Unity Rear Lounge is built on the all-new 2019 Mercedes-Benz Sprinter 3500 Cab Chassis, providing new levels of luxury, comfort, and safety previously not available in a Class C motorhome. Advanced safety features include Active Lane Keeping Assist, Active Brake Assist, Active Distance Assist Distronic, Attention Assist, and more. 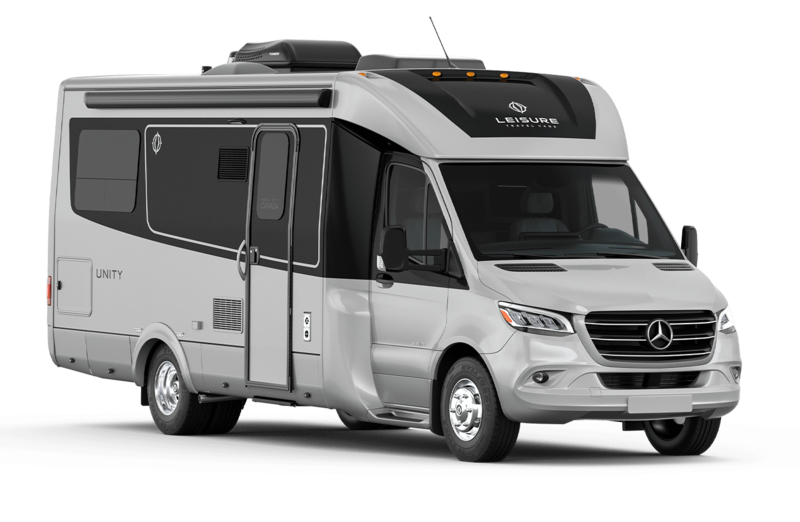 In addition, the Sprinter 3500 chassis is equipped with LED performance headlights, power/heated/swivel seats, and the all-new MBUX infotainment system featuring a 10.25" touchscreen with intelligent voice control, navigation and a wireless charging port. Your living room on the road. The innovative dual-zone floorplan features a spacious rear living area equipped with an entertainment unit and residential-like sectional sofa where two power recliner seats with built-in footrests provide personalized comfort at the touch of a button. Near floor-to-ceiling windows offer an abundance of natural light and immersive views to the outdoors. A 57" × 75" Murphy bed system transforms the area into a luxurious master bedroom at night. Technology such as a built-in wireless charging pad and touchscreen controls add new levels of convenience to the RVers experience. Forgot to turn off a light or lock the doors? No worries, the touchscreen allows you to control nearly all RV components from either one of the six displays throughout the coach or via an app on your smartphone. Small in footprint, big on space. Modern European design and luxurious materials such as Ultraleather®, FENIX NTM®, Corian®, and Schattdecor cabinetry finishes are found throughout. The abundance of accent lighting allows the user to create a multitude of atmospheres, from extra bright to cozy, mood lighting. The futuristic ceiling panels provide soft, diffused lighting, as well as hide and integrate ceiling components for a modern look. The all-new Dometic IoT Solution allows users to control and monitor their RV’s components with the touch of their finger. Six touchscreens are conveniently located throughout the coach which control and monitor the RV’s electrical components including lighting, climate control, awnings, water heater and tanks, water pump, batteries, inverter status, and LP Gas. RVers can customize comfort controls as well as set scenes that can run multiple tasks at once. Scenes can also be automated to run at specific times throughout the day. For the connected user, the system can be controlled remotely from a smartphone or tablet. Chosen from over 400 of the industry’s best new RVs, the Unity RL was selected as the spotlight pick in the “City Escape” category on The Reveal. New for 2019, The Reveal was the first ever national media RV product launch, held at RVX. Each category winner was selected by a consumer-focused panel of judges. Contact your local Leisure Travel Vans dealer for more information. Deliveries beginning fall 2019. The spacious rear living area is equipped with an entertainment unit and residential-like sectional sofa where two power recliner seats with built-in footrests provide personalized comfort at the touch of a button. ​​A 57” x 75” Murphy bed system transforms the area into a luxurious master bedroom at night. Technology such as a built-in wireless charging pad and touchscreen controls add new levels of convenience to the RVers experience. The Rear Lounge can be set up in many configurations. Lounge on the sectional sofa with built-in power recliners, set up a mobile workstation with the innovative swivel table, or bring down the Murphy bed to transform the space into a luxurious master bedroom. For those working remotely, included in the Unity Rear Lounge is a new safe large enough to store up to a 17" laptop. The dinette comfortably seats four around a removable table. ​​The dinette conveniently converts into an optional innovative bed system, making smart use of the front swivel chairs. With four seatbelts, the Unity Rear Lounge is perfect for those special trips with the grandkids. The Unity Rear Lounge is built on the all-new 2019 Mercedes-Benz Sprinter 3500 Cab Chassis, providing new levels of luxury, comfort, and safety previously not available in a Class C motorhome. Watch a movie on the 32” TV with soundbar, all while enjoying immersive views of the outdoors. ​​Those who enjoy cooking on the road will appreciate the large galley with aluminum-framed cabinet drawers, large Corian® countertop with flip-down extension, and premium appliances such as the all-new Dometic 10 Series fridge.